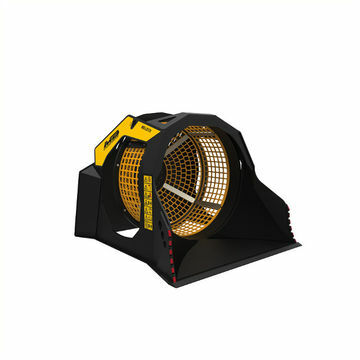 Mb screening buckets are equipped with a front pin that stall stresses created by large and angular materials allowing also to increase load capacity of the basket. Furthermore, MB screening buckets are designed with a conveyor system to eliminate any friction during material loading, while the flat base makes transport easy. MB screening buckets are designed with a conveyor system to eliminate any friction during material loading, while the flat base makes transport easy. The unique and innovative conical shape of the drum is specially designed to significantly increase the hourly production performance and to screen all the collected material, residue-free. 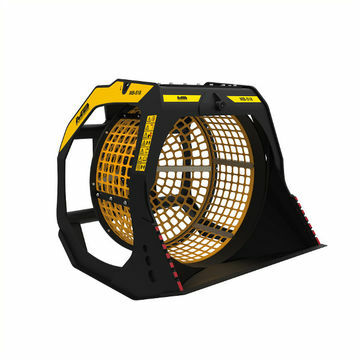 MB screening buckets are equipped with baskets formed by interchangeable modular panels, available with different size holes, depending on the needs of job, the easy assembly and disassembly of the panels makes for quick change to obtain different output material. 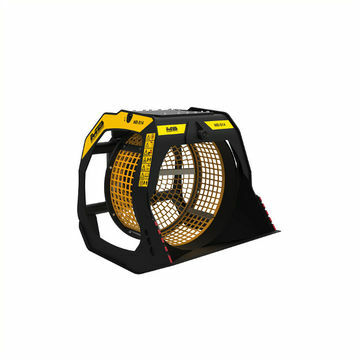 MB screening bucket simplify installation and use. Some models, in fact, do not need the third drain pipe. 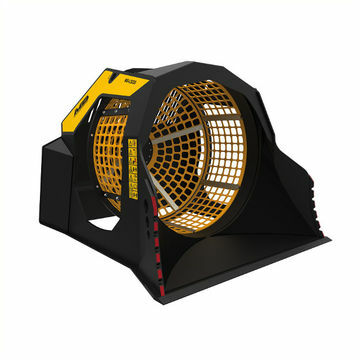 Perfect for the screening and selection of natural materials, both before and after the crushing phase, the MB-S Screening Buckets reduce crushing times by up to 60%, consequently allowing you to salvage materials suited to the type of job being carried out, and to manage them in the best way possible. 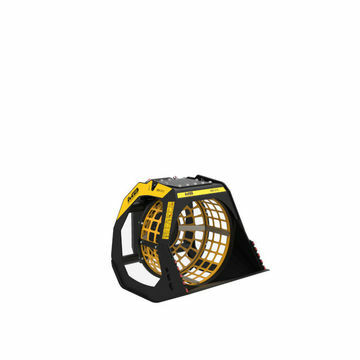 The MB Screening Buckets work with excavators, skid loaders, loaders and backhoe loaders. Try it: you won't be able to do without it anymore. 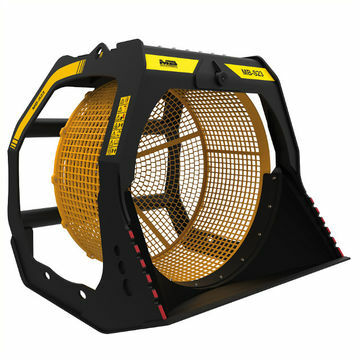 Get conquered by the power of MB, the screening buckets suitable for all excavators.